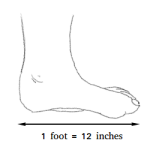 If one hectare measures the area of a square, then each side of the square will have a length that is equal to 100 meters or approximately 328 feet. 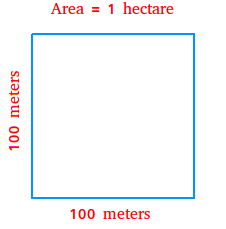 The hectare is useful for measuring areas of farms and ranches. For examples, a small farmer could have about 5 hectares of land to cultivate the land. Suppose the average size of a house is 2000 square feet. Then 107639.1 divided by 2000 is equal to 53.81. Therefore, you will need to put 54 houses next to one another to get to 1 hectare.